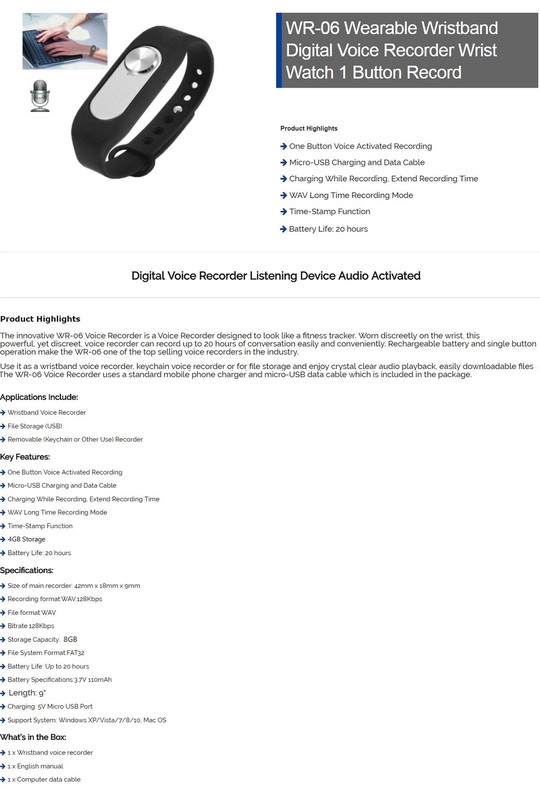 The innovative Hnsat WR-06 Voice Recorder is an 8GB Voice Recorder designed to look like a fitness tracker. Worn discreetly on the wrist, this powerful, yet discreet, voice recorder can record up to 20 hours of conversation easily and conveniently. 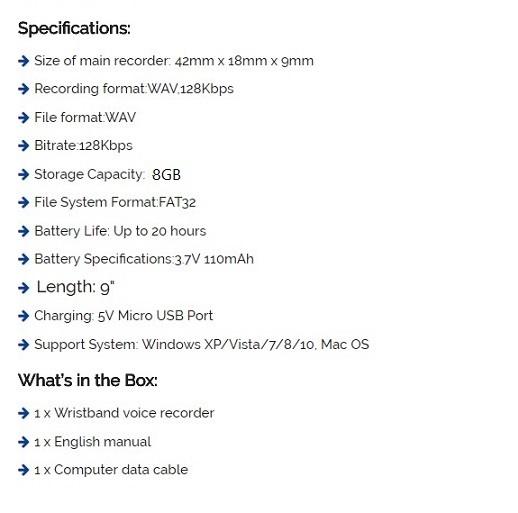 Rechargeable battery and single button operation make the WR-06 one of the top selling voice recorders in the industry.